More data is better for decision making. Time-frame is important. Knowing the total average time of your funnel as well as the average time of each stage is incredibly useful. If you don't know these then you may be looking at the data the wrong way. Ideally it is better to base your stage averages from data on the internet. When labeling stages, be as specific as possible to prevent leads from escaping your funnel. 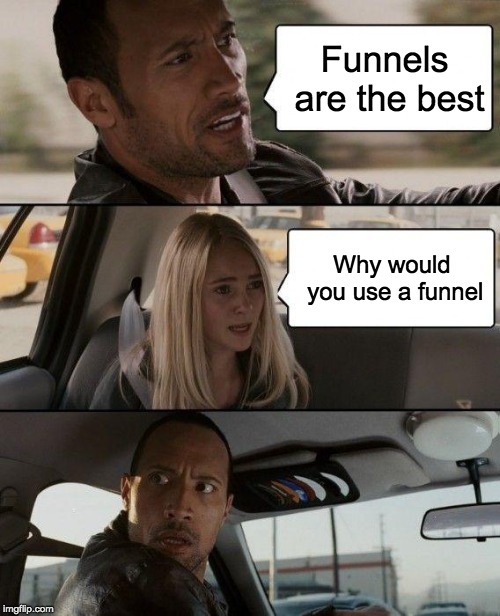 So if you want career success, use a funnel. -- Here are some other blog posts that you might find useful: 3 Hardest Interview Questions (And How to Answer Them) How to Sell Ice to an Eskimo 4 Soft Skills Employers are Looking For -- We also have free online training videos for you. The online sales training videos will help you learn some sales skills as well as give you a preview of what our bootcamp training is like. And if you're asking yourself: "How can I find a boot camp near me?" You can learn sales skills online because our sales bootcamp is virtual.